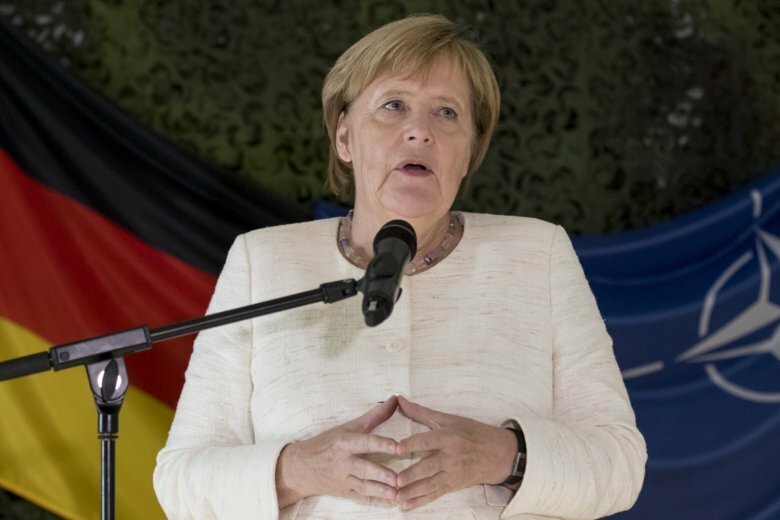 BERLIN (AP) — The head of Germany’s domestic intelligence agency lost his job Tuesday after his remarks downplaying anti-migrant violence became a battleground between Chancellor Angela Merkel and her conservative critics. The ouster of Hans-Georg Maassen is the latest political aftershock resulting from the influx of more than a million refugees into Germany since 2015, which has boosted right-wing populism in Germany and beyond. Critics have long questioned whether Maassen, who took charge of the BfV spy agency in 2012, was still suitable for the post over his handling of the 2016 Berlin Christmas market attack and his contacts with the far-right Alternative for Germany party. Maassen’s decision to openly contradict Merkel in an interview with the mass-circulation daily Bild this month appears to have sealed his fate. Responding to violent right-wing protests following the killing of a German man, allegedly by migrants, in the eastern city of Chemnitz, Maassen said his agency had no reliable evidence that foreigners were “hunted” down in the streets — a term Merkel had used. Merkel’s coalition partners, the center-left Social Democrats, accused Maassen of downplaying apparent anti-migrant violence and called for him to be fired . For a senior civil servant to publicly wade into such a politically sensitive issue would normally have meant swift career death, but Maassen’s direct boss — Interior Minister Horst Seehofer — initially backed the spy chief. Seehofer has regularly sparred with his conservative ally Merkel on migration since 2015, when he was one of the most prominent critics of her decision to keep open Germany’s borders as hundreds of thousands of asylum-seekers trekked across the Balkans. In a short statement following three-way talks Tuesday between Merkel, Seehofer and the head of the Social Democrats, the government said Maassen will be moved to a new job within the Interior Ministry and will be replaced at the spy agency. Maassen may be out of the firing line for now, but the 55-year-old will likely remain influential behind the scenes within Germany’s security apparatus. The government statement noted that Seehofer “values his expertise in questions of public safety” and observers say the new job comes with a hefty pay rise.